Below you can view all the homes for sale in the Colton Ridge subdivision located in Indian Trail North Carolina. 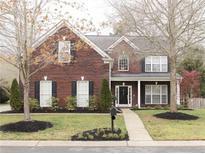 Listings in Colton Ridge are updated daily from data we receive from the Charlotte multiple listing service. To learn more about any of these homes or to receive custom notifications when a new property is listed for sale in Colton Ridge, give us a call at 704 604 8836. Call your favorite agent and come see this home right away! MLS#3489504. Networth Realty of Charlotte LLC. Move in just in time to enjoy a summer filled with walks to the pool, evening strolls on the walking trails around the community pond and backyard cookouts in your fenced corner lot! Call agent with any questions MLS#3488780. Helen Adams Realty. Community amenities include tennis courts, a pool, pond, walking trails and community clubhouse. MLS#3487218. EXP REALTY LLC. Home situated in active, family-friendly community w/pool, trails & tennis court. MLS#3479109. Carolina Realty Solutions. Huge Bonus/4th bedroom. Home to be professionally measured. MLS#3470949. Allen Tate Center City.